All posts in Journalism Film & Media Arts category. Congratulations to our Journalism, Film & Media Arts students on completing their final projects today!! 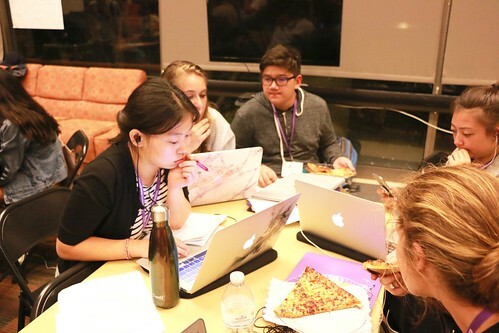 Last night, our Journalism, Film & Media Arts students participated in a hectic and exciting newsroom simulation, made complete with a working pizza dinner! View the photos from the activity here on Flickr. 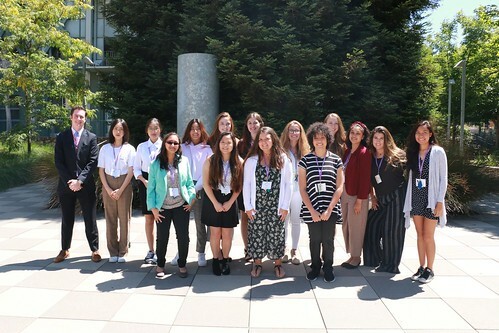 Earlier in the week our Journalism, Film & Media Arts students participated in a 48-second film festival, in which the students have 2 hours to plan, film, and edit a 48-second film to show to their peers. Watch the video below to hear more about the selected prompts, and how the students reacted to such a short deadline! 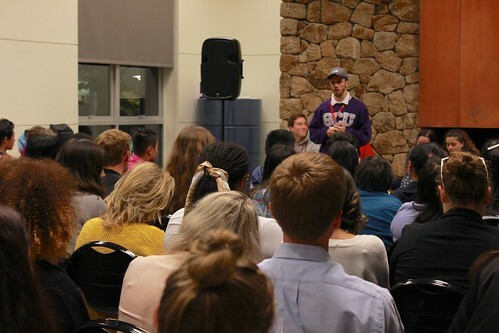 Last night, our Journalism, Film & Media Arts students heard from Matthew Reyes, a video producer at Gizmodo Media Group. Watch the video below to hear some advice from Matthew on video journalism in the digital age, and learn what some students took away from his talk! As the session winds down the COMM students begin to wrap up their communication class projects. Some are editing film, some are editing photos and others are putting the finishing touches on their news packages and writing. COMM students had 2 hours to write, direct, film, act and edit 48 second films. The results were pretty great! Our Journalism Film & Media Arts students sat in on an College and Beyond panel, hosted by our COMM Team Advisors! Check out the photos from the evening here on Flickr.